For years, I fought in court to stop him from ending our marriage. Now that NY has become the 50th state to enact no-fault divorce, women no longer have that option. My husband and I came from humble beginnings. We met in Manhattan in 1981 in the legal department of the company where we both worked. Having made it to New York from Southern Maryland, the last thing on my mind was marriage. But lo and behold, nine months later, we tied the knot. “Rest the security of your wedded life upon the great principle of self-sacrifice,” my grandfather, the minister who married us, said–words I would never forget. Not even twenty years later when my husband wrongfully sued me for divorce. Over the years, our marriage saw more than its fair share of troubles. But we weathered the storms, and experienced miracles, too. In 1990, I gave birth to our first daughter. Five years later, healthy baby number two came along. My husband and I fell head-over-heels in love–with them. As his career began to blossom, I became a stay-at-home mom. Then one day, my husband began having an affair with a twice-divorced lawyer at his new job. A few months later, he left home for good, vowing to get remarried as soon as he got divorced from me. What he didn't realize was, we weren't getting a divorce. Not if I could help it. I’m not sure my attorney thought I’d actually try and exercise my right to keep my family together. But that’s what I did. In any other state it would have been impossible. But in 2003, New York was the last state in America that still didn't have no-fault divorce on the books. After California passed America's first no-fault law in 1970, divorce frenzy swept the nation, and by 1985, every state in the country had followed suit–every state except for New York, where my husband and I happened to live. When I refused a quickie divorce on his terms, he served me with divorce papers filled with baseless complaints. “Then deny it, and sue him for divorce,” Saul said. “But I don’t want a divorce,” I cried. “I love my husband.” Twenty years wasn’t something I wanted to chuck overnight. Made of strong Southern female stock, I grew up believing the words “until death do us part” were non-negotiable. Family was paramount, and divorce virtually unheard of. “I don’t think there’s anything in life that can’t be forgiven,” my aunt said when I asked for her advice. To me, that pretty much covered the whole territory. One night when I was up reluctantly working on the divorce papers, my eldest daughter appeared by my side. “I don’t want you to get a divorce,” she said. I didn’t either. Yet until this moment, it hadn't occurred to me that I had the power to stop this from happening. I realized perhaps the break-up of my marriage wasn't inevitable and that by standing up, maybe I could also help others. While the law gave me the right to try to save my marriage, however, the deck was stacked against me. If parties didn’t agree on a divorce in New York, the only way to exit a marriage was to prove the other spouse committed an actionable wrong like cruelty, sexual abandonment, or adultery. But spouses wrongfully accused rarely exercised their right to fight. “Divorce is about money,” Saul said. No one cared about right and wrong. My husband said he’d fight me tooth and nail if I didn’t give in. And there were times I nearly did. He kept a tight rein on the purse strings, said he’d seek sole custody, and had his lawyers pound me with paper. Crippling weight loss and the task of adjusting to life as a single mom nearly wore me to a nub. Nearly five years I fought to keep our bond from being broken. On my first day in divorce court the judge peered at me over her spectacles and strongly recommended I stop being so stubborn. She gave me her “Exercise Your Rights, But It’ll Cost You” speech, and made it clear that she'd prefer the case vanish from her docket. "Doesn’t your husband have the right to move on with his life?" another judge wanted to know. My husband had broken his vows; the system simply assumed I wanted off the hook, too. After a lengthy trial, the judge dismissed all of my husband’s charges. But he was still determined. He moved across the Hudson River to New Jersey to establish residency. Within a year’s time of living there, he would be allowed to sue me again under that state’s no-fault law. Without the funds to keep fighting what was now the inevitable, I gave in. A year later, we had a second trial on financials, and our property was divided. When our divorce became final, my husband and I had been married for over a quarter of a century. Last Sunday, I read that Governor Paterson had signed a bill making New York the fiftieth and final state in the country to enact no-fault divorce. I was heartsick. We would never stand for arranged marriages, so why do we tolerate unilateral divorce, where the power rests in one person's hands to vote on behalf of the whole family? If no-fault is good, why do we have the highest divorce rate of any Western nation? Why is the divorce rate for second marriages even higher? Studies show most “unhappy” marriages ride out the storm. No-fault removes that option. There are practical reasons against no-fault, too. Divorce reduces life-span. No-fault won’t end litigation either, just shape-shift it as the litigation instead focuses on economics. And women and children are worse off financially after divorce, as they always have been, even those finally able to extricate themselves from domestic abuse. Some say no-fault divorce would have been to my benefit. My legal bills might be less. But no-fault divorce takes away a woman's bargaining chips when her husband decides he wants to ditch her. No-fault assumes that removing choice from the equation will lead to less acrimony, but that’s too simplistic. It assumes the only reason parties would ever hold up a divorce is to angle for money. It tosses aside the notion that one might want to stay married because of one’s pledge, or for the sake of the children. Since 1970, approximately one million children a year have watched their parents divorce and their way of family life disappear. Children of divorce are more likely to divorce themselves, and divorce produces other negative consequences as well – more juvenile delinquency, aggression, teen pregnancy, depression, learning difficulties – not the least of which is the loss of childhood and parents and children losing precious time together. “The best interests of the child” governs in child custody, yet no-fault divorce does not serve that end. The fact of the matter is that when couples have children you all become inextricably intertwined. I always pictured my husband and I turning to each other as we applauded our daughters in their school plays, and sitting in the car, tearful, after dropping our eldest off at college. It’s nearly eight years since my husband left, and I still have trouble opening the family photo albums. But I’ve had to move on. There are more pressing problems like finding a job and health insurance when my costly COBRA runs out in about a year. Governor Paterson commended New York’s legislature for “fix[ing] a broken process.” But no-fault isn’t the answer. It won’t cure our national preoccupation with searching for happiness in greener pastures–the root cause of rampant divorce–any more than a fault-based system of divorce can. We’ve created a happiness culture without understanding what that means or how to achieve it. Ditch your spouse and eat, pray, love your way to the next one. “Stop trying to be Don Quixote,” my lawyer used to say. Now, with fault-based divorce eradicated in America once and for all, and no-fault the law of the land, standing up for marriage and family really is an impossible dream. 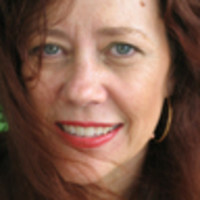 Beverly Willett is a freelance writer and former entertainment attorney. She has written for The New York Times, Newsweek, and Woman's Day, among others.